It’s nothing new for craft beer giving to make headlines. 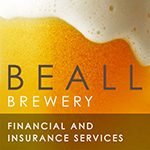 But Beall Brewery Insurance points out that the industry may not get enough credit for its charitable efforts. 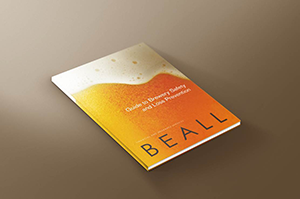 According to the Brewers Association’s 2016 Brewery Operations Benchmarking Survey, released earlier this year, a lot of credit is due. Craft brewers donated donated an estimated $73.4 million to charitable causes in 2016, up from $71 million in 2014. Is your brewery one of those that has supported a charitable cause? If not, consider adopting a cause that makes sense for your business, and brainstorming ways to support it. After all, there are almost as many ways of support as there are breweries in the US. Cash donations: since 2005, Delaware’s Iron Hill Brewery and Retaurant has donated more than $260,000 to a children’s cancer organization. Beer as a fundraiser: Texas-based Rahr & Sons Brewing Co. presented a check for nearly $6000 to the USS Fort Worth Support Committee from sales of a special beer. Putting equipment to alternative use: Oskar Blues Brewery has partnered with the Ball Corporation and the CAN’dAid Foundation to package and distribute hundreds of thousands of cans of clean water to victims of natural disaster. Host an event: Located in upstate New York, Craft Ales and Lager hosted a Shaving for Cancer event this pasts spring, raising more than $4000 for two charities. Create a charitable event or organization: dozens of San Diego breweries, bars, and eateries take part in Beer to the Rescue, which benefits the Lupus Foundation of Southern California. How Can Your Brewery Give? Choosing a cause to support can have multiple beneficial results. Your business will help an organization or group of people in need. You may also forge stronger relationships with your staff and customers. Considering hosting an event, donating product or money from sales, or joining in a larger fund-raising effort? Make sure you are following all federal, state, and local regulations. If you have questions about your insurance coverage when participating in a fundraising event, contact your insurance agent.